“L” brackets for your camera are the cool cousin to the “always loosening up on you” single bottom plates. The simple “L” bracket is for your camera’s body and you need one if you’re a landscape photographer. L brackets are very useful tools for your digital photography and they mount easily to your camera and give you the flexibility to shoot either in portrait or landscape mount while maintaining your composition. It will keep your composition plane of view level for a book cover or calendar. I will explain what it does and more. After seeing my video above, you won’t want to take another landscape photograph without one! If not, I would suggest picking one up. But make certain the one you buy is specifically formed to your camera’s body. There are many options these days. Pricing can range from $20 on eBay to $150 from some more mainstream companies. Just make sure the one you get has a universal Arca Swiss mounting surface. Also be sure your ball head has an Arca Swiss mounting plate as well. Avoid adjustable, one size fits all “L” Brackets. They are junk for the most part and never work well. I hope you enjoy the video! Join us on one of our workshops in Iceland, Yosemite, or Big Sur and capture stunning images at the right place, at the right time in the right light. 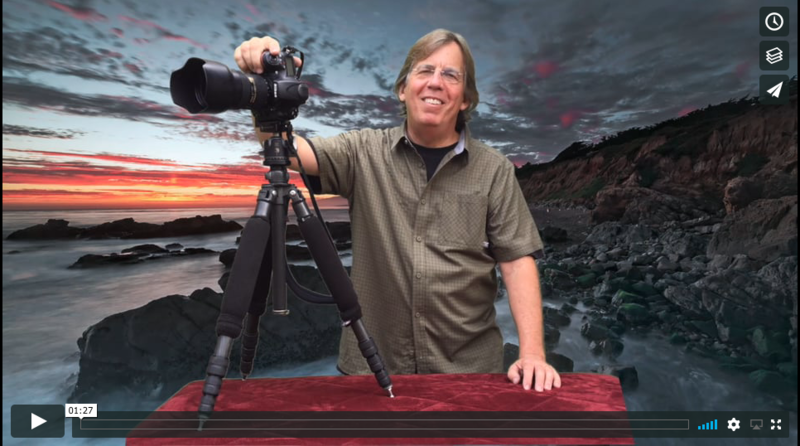 Tripods, Landscape Photography and the Reason why?